Volkswagen Group of America is recalling 51,352 model year 2009-2014 Volkswagen CCs, model year 2010-2014 Golfs, model year 2010-2011 Eos vehicles, model year 2007-2010 Passat Sedans, and model year 2007-2010 Passat Wagons. 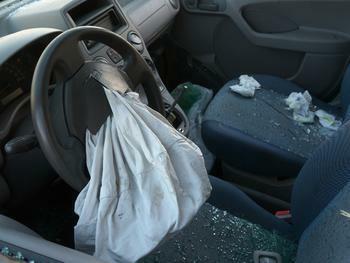 Upon deployment of the driver's front airbag, excessive internal pressure may cause the inflator to explode with metal fragments striking occupants potentially resulting in serious injury or death. Volkswagen will notify owners, and dealers will replace the driver's front airbag inflator free of charge. The recall was expected to begin March 15, 2018. Owners may contact Volkswagen customer service at 1-800-893-5298. Volkswagen's number for this recall is 69Q9.